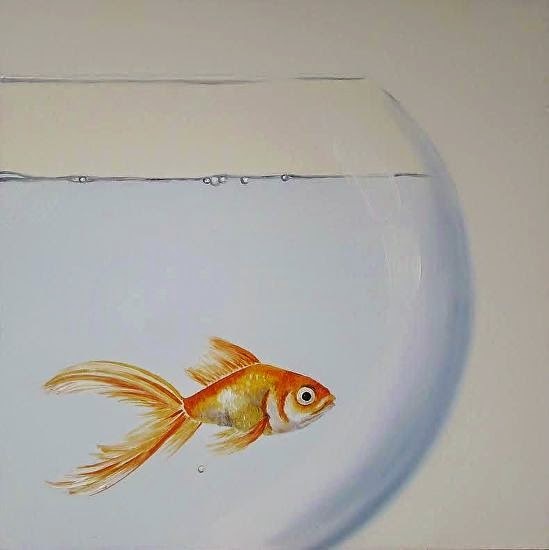 This was the third fish I painted for the Naked Challenge. LOVE these three paintings...you paint fish so well! I've been practicing since I've been wanting to paint the koi's in my pond...but I need MORE practice. lol Looking forward to your next piece!! Sandra, I love these so much and they do make a wonderful series - all 3 would look great hung together. Looking forward to seeing what other fishy ideas you have! Thanks Nic! I like them altogether too... I have lots of new ideas - now I just need lots of time!! Dave??.? Not sure about the name but it's a lovely painting and series.